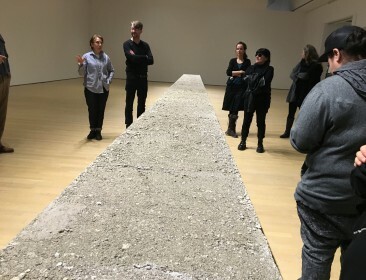 In conjunction with the exhibit at the Musée d’Art Contemporain de Montréal entitled Teresa Margolles: MUNDOS, members of the Feminist Media Studio are participating in interventions through Teresa Margolles’s work La Promesa (2012). 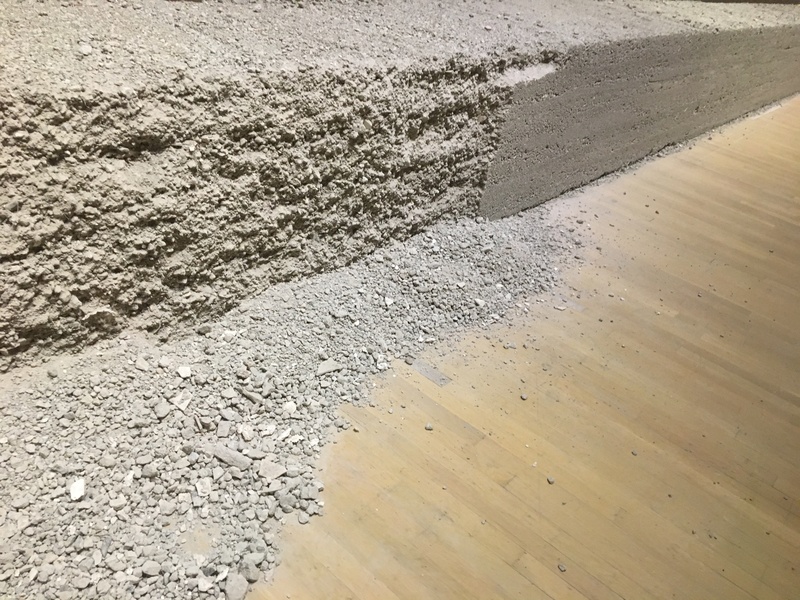 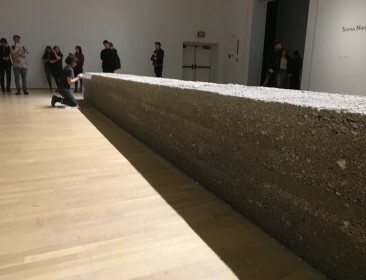 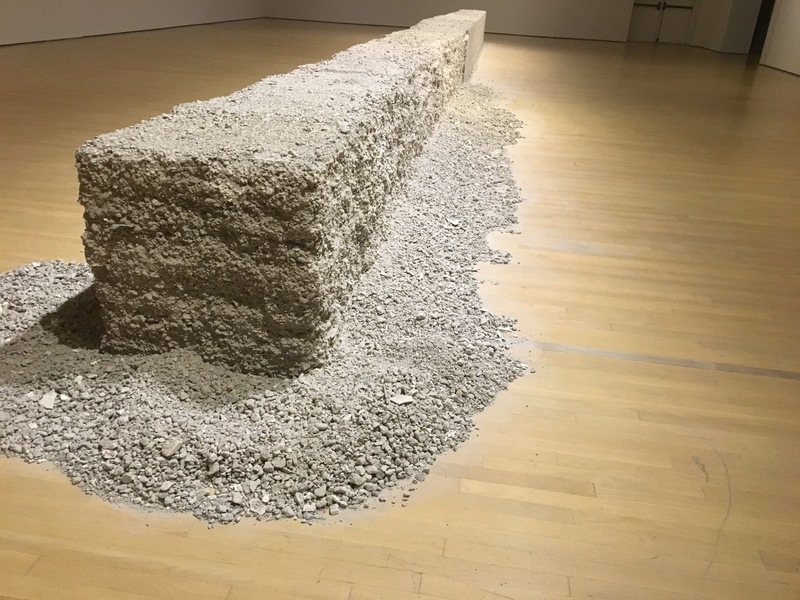 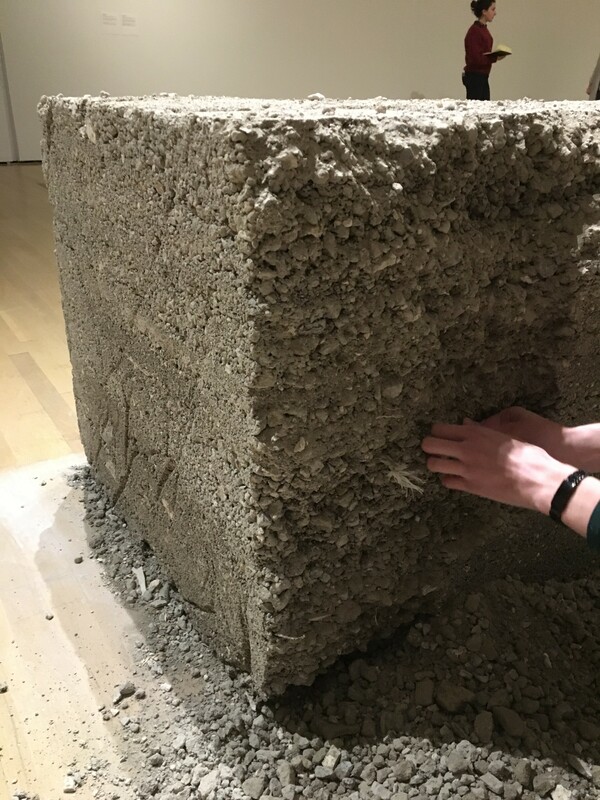 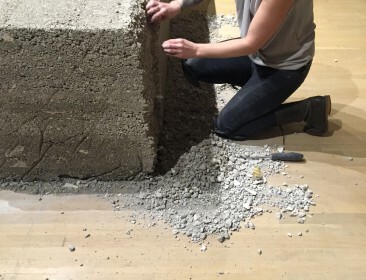 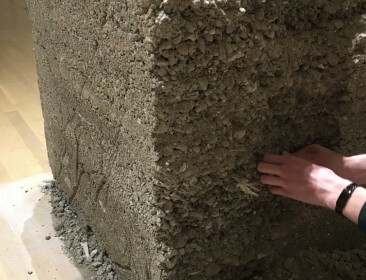 La Promesa consists of a sculptural block made of ground-up remains from a demolished house in Ciudad Juárez, Mexico. The house was demolished in 11 days and the rubble was crushed in June 2012. 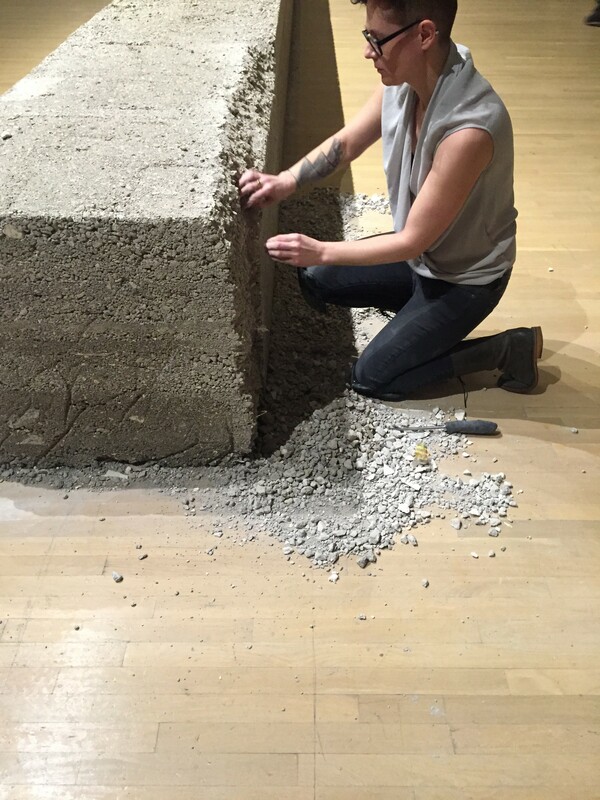 Participants work to gently dismantle the sculpture over the space of the installation.